While USD is being weakened by the US labor data, the oil price is leaving negative impact on CAD as well. 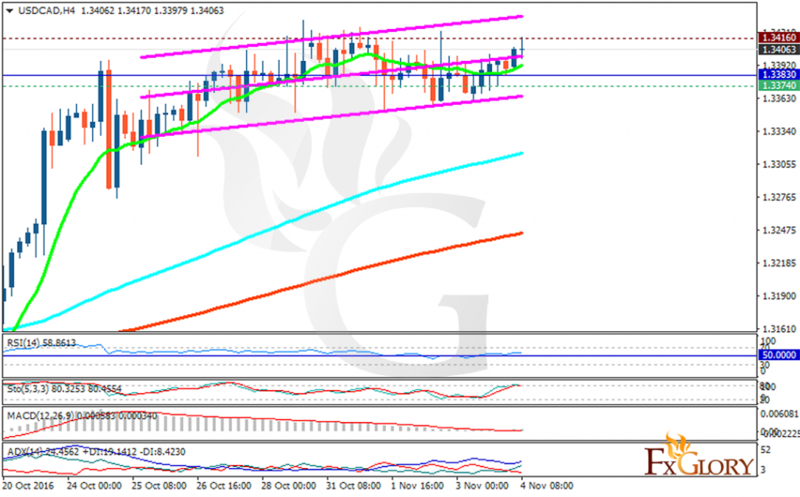 The pair is finding support at 1.33740 with resistance at 1.34160 which the weekly pivot point at 1.33830 is located in between the lines. The EMA of 10 is moving with bullish bias and it is located above the EMA of 100 and the EMA of 200. The RSI is moving above the 50 level, the MACD indicator is in neutral territory and the Stochastic is moving in high rates. The ADX is showing buy signal. As long as the price is above the weekly pivot point, it would stay bullish.